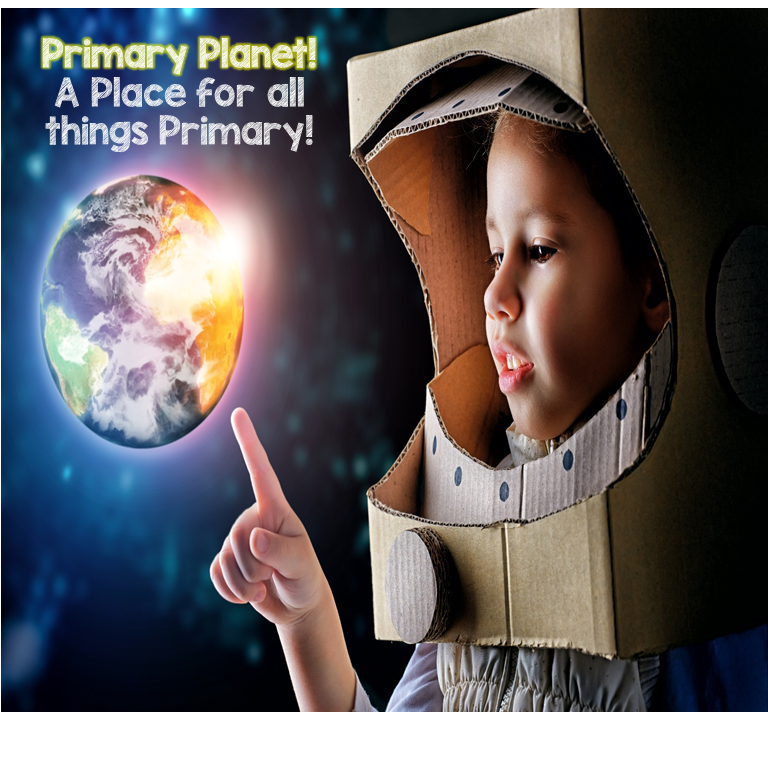 Organizing for Reading and Writing Conferences | Primary Planet! So, let me start by saying that I am NOT the most organized person on the planet. That being said, this is what works for someone who is organizationally challenged! 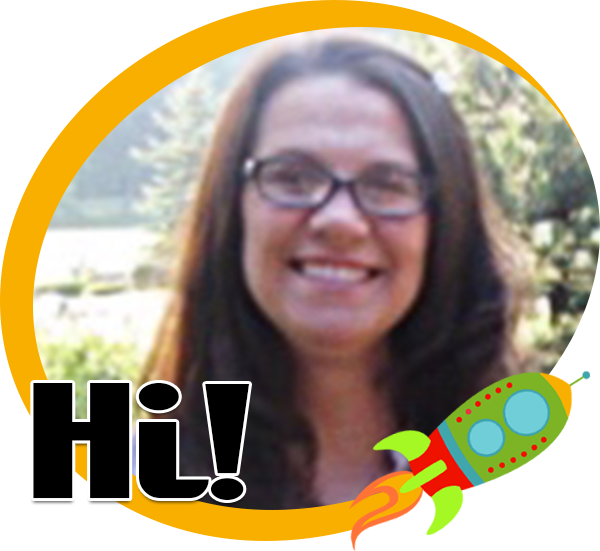 Let me help you to get organized for Reading and Writing Conferences! 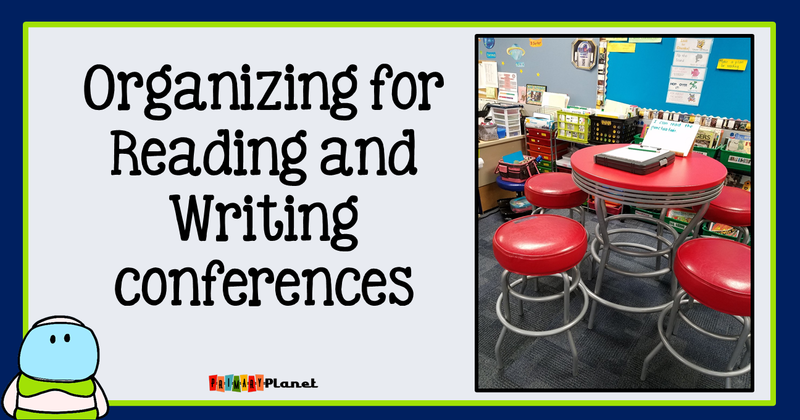 I do reading and or writing conferences almost every day! I usually start with small groups, then move to individual conferences. I take notes during both. That is where my Reading and Writing Conference Labels come in very handy! You can read about them HERE! I have a conferencing notebook that I LOVE! It is a clipboard/binder all in one. It is thick enough to store all of my paperwork for reading and writing conferences. It's not the prettiest thing in the world, but it is very functional. On the left side of my binder I have bookmarks, small group planning forms, and my reading/writing conference labels. In the binder rings, I have my students conference forms. 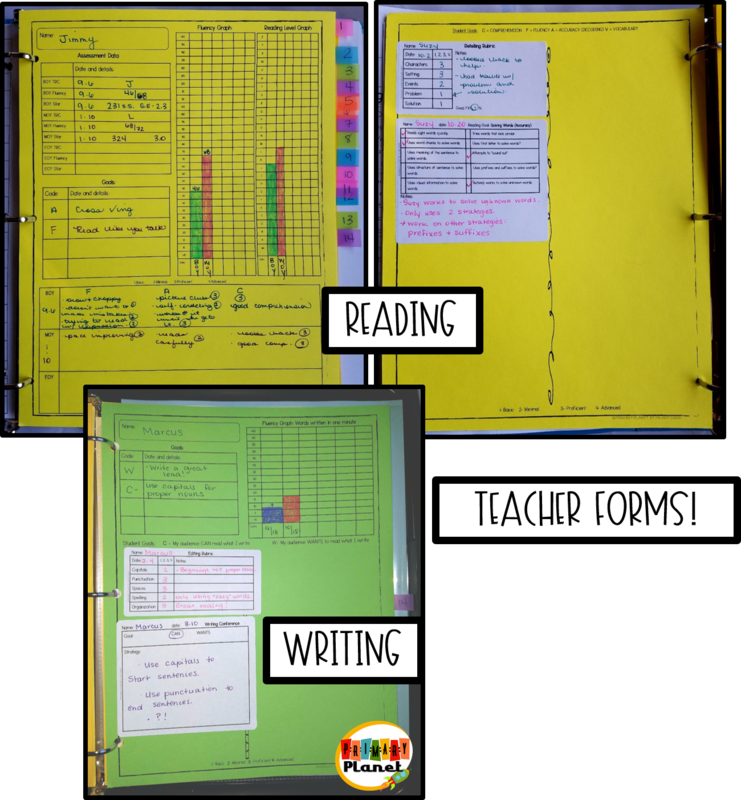 There are reading and writing forms for each kiddo, with extras at the back so I can add them easily if I fill up a page. The page to the right is where I keep track of my reading conferences. 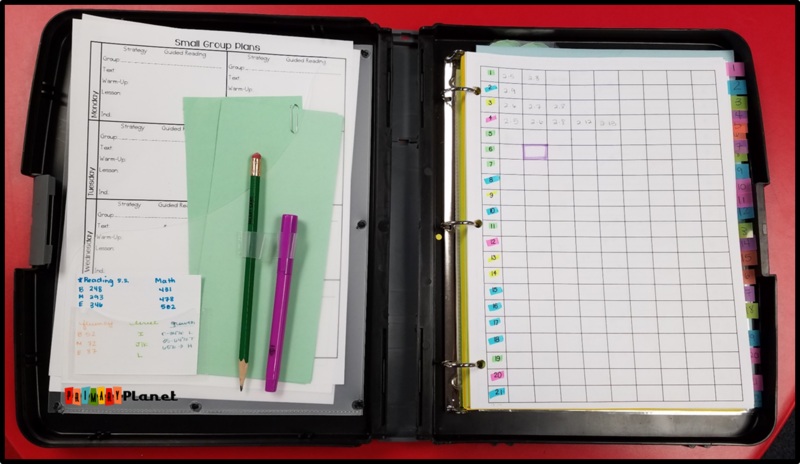 It is color-coded to help me see at a glance the students who need more conferencing than others. Pink=way below benchmark, Yellow= below benchmark, Green=Meets benchmark, Blue=above benchmark. I usually plan my conferences when I plan my small groups for the week. I always check my list to see who needs a conference. 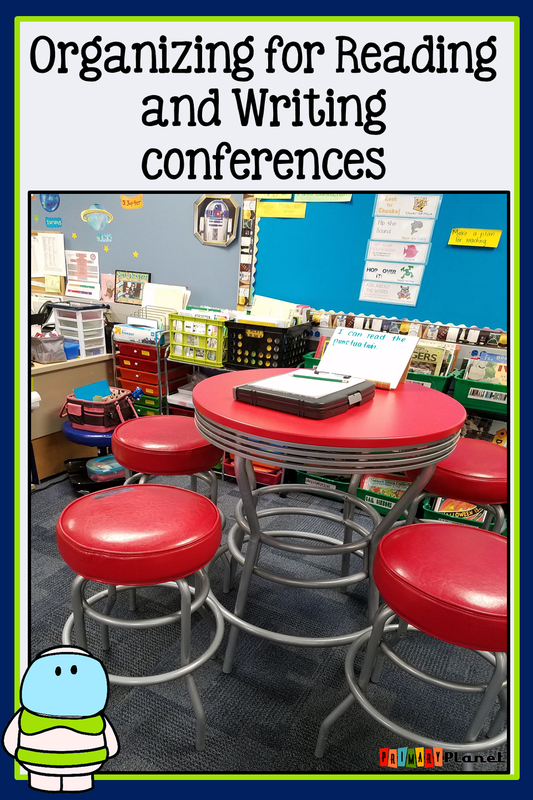 For writing conferences, the kiddos usually let me know who needs a conference when I do a check in when I walk around the room. I have a few kiddos who always need a little extra help at the beginning of Writer's Workshop, so I usually start with those kiddos. 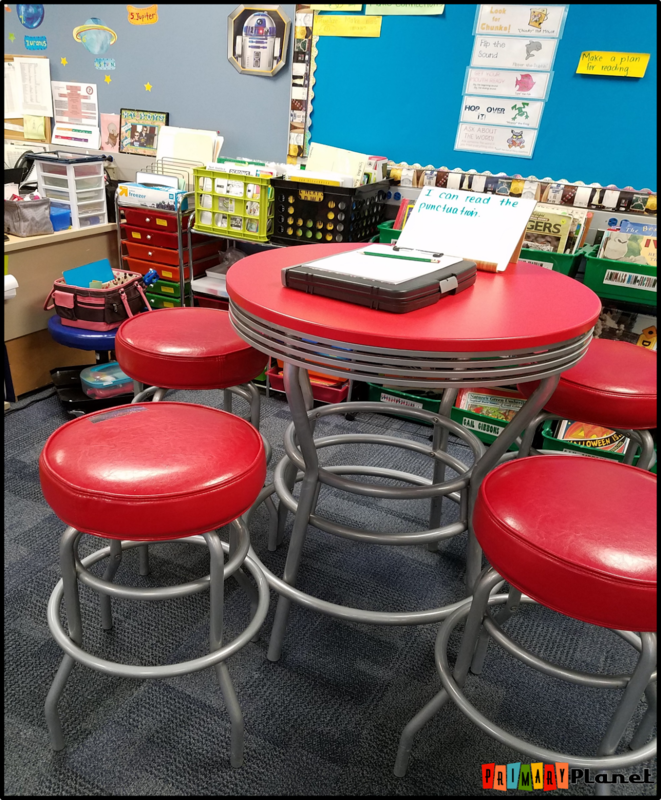 When my students go off to read or write, I pull the labels that I need to take the notes that I want, write the kiddos names on the labels, then call them over to our conferencing table (which in my classroom is named Mars). Let me say that I used to go to the kiddos for conferences. It is a little less disruptive. That being said, I am no longer a new teacher. Getting up and down off the floor is...amusing. So, I have admitted defeat and I conference here. I have to say that I love Mars. It is in front of my CAFE board, so the kiddos can easily reference the reading strategies that we are working on. Everything I need for reading and writing conferences is right there! The drawers to the left hold games, writing materials, whisper phones, etc. Everything I might need for conferences or groups. The drawers on the left are color-coded to match my group colors. When I do my small group plans, I put everything that I plan to use in the drawer for the group. 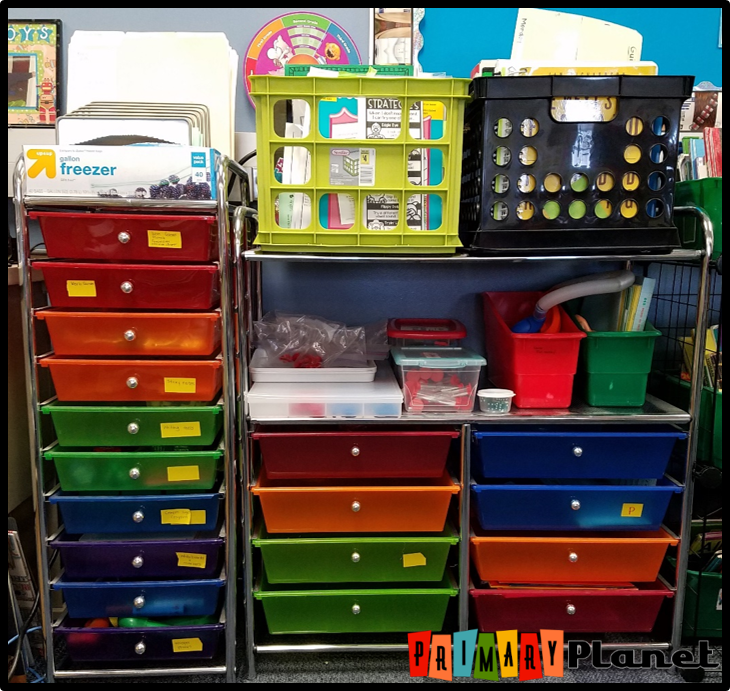 When I am done, the materials get filed away in the crates on top, or in the drawers! I have my labels clipped to the front of my binder, so I just have to glance at the label to keep me on track! Each kiddo has their own section in my notebook. I have different forms for reading and writing conferences. 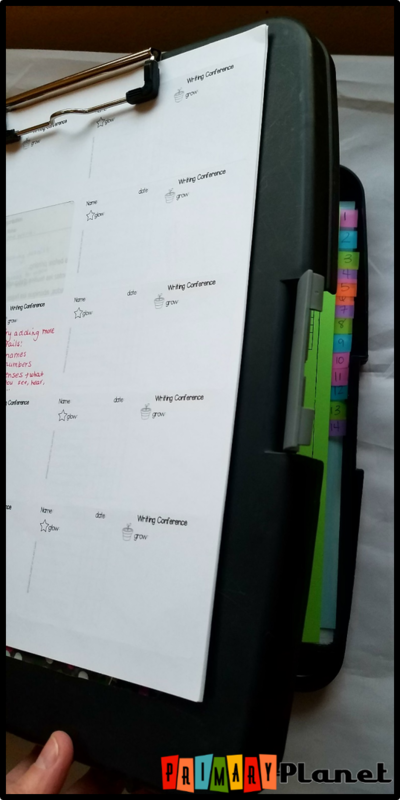 I use the labels to take notes during my reading and writing conferences. Then, when I plan my next conferences, I can see who I have recently conferenced with and who still needs a conference. I don't put labels on the kiddos individual conference forms until the end of the week. I can check for who I already conferenced with, who still needs a conference, or who I want to check in with during conference time. That is really about it!